Goodness. The longer I go without blogging, the higher the hurdle seems to jump back into it. 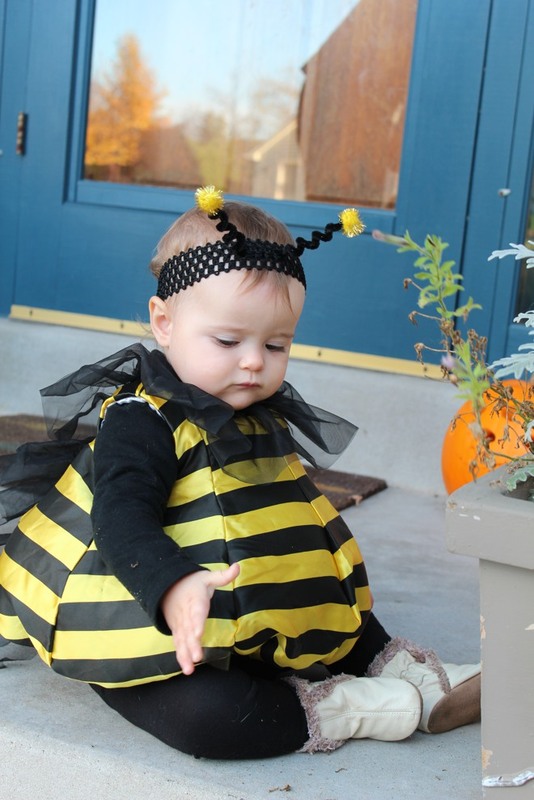 I’ve been procrastinating on sharing updates on my dear little ones, Mara’s first birthday and other thoughts… but I’ll keep this at least relatively timely and share some Halloween pictures first. 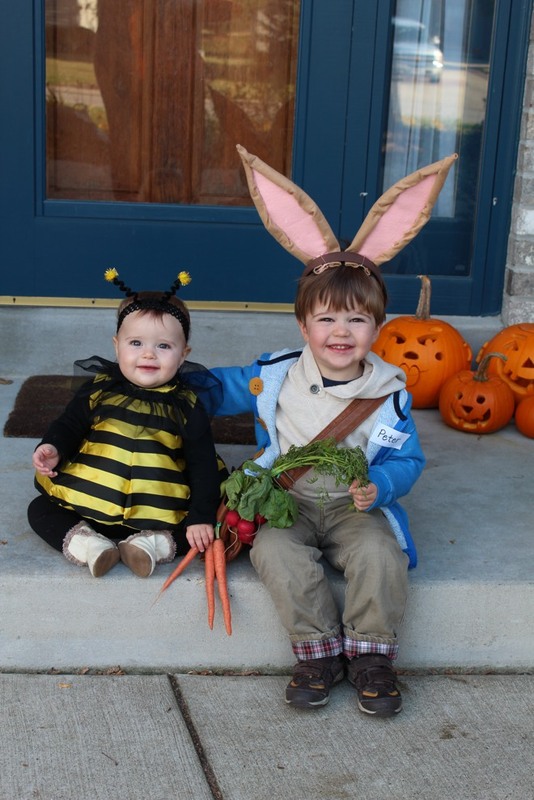 I feel like there is so much pressure in these young years for the Halloween costumes to be timeless, adorable, matching and fitting for each child’s personality. Oh and homemade, of course. That’s insane, I know, but those kinds of thoughts contributed to my procrastination in actually deciding on Corban’s costume. 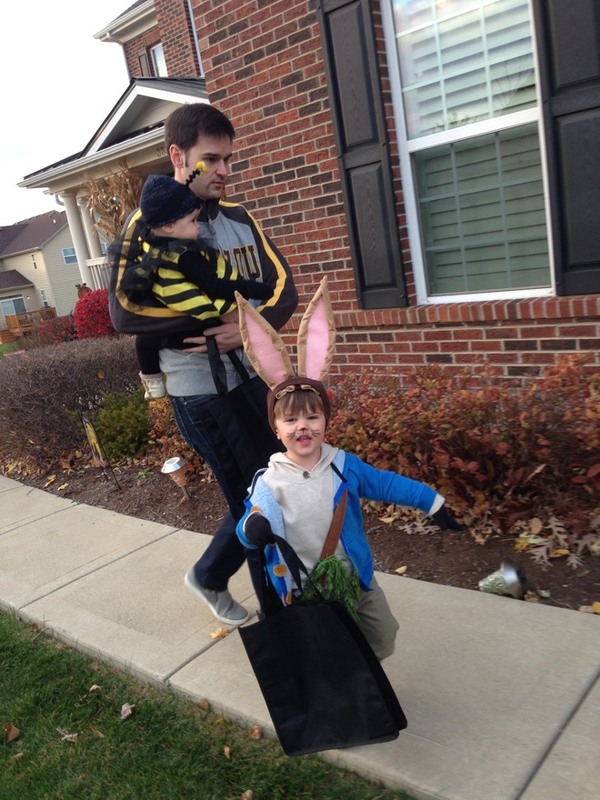 When it came down to the wire, though, we went with Corban’s current favorite character: Peter Rabbit. And after all my stewing, it actually did unintentionally live up to all my ridiculous standards! 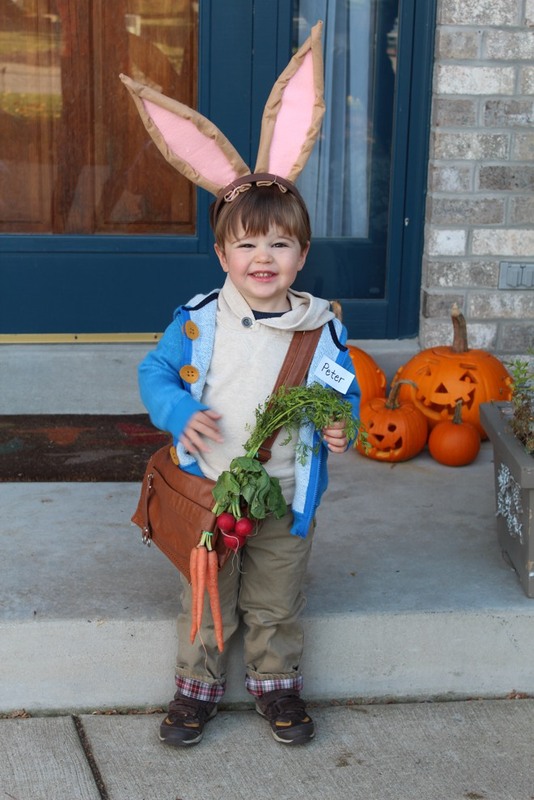 He was so adorably excited to “be” Peter Rabbit (in a very real sense, to him) and that’s how I knew we couldn’t go wrong with this costume. It was really simple to make, too. 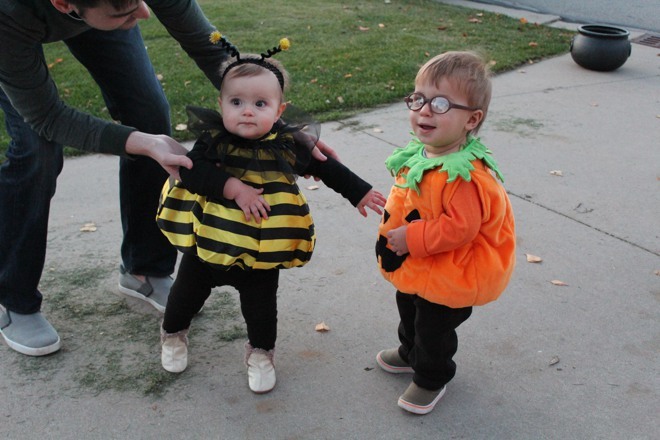 Mara had two options I was excited about — both costumes we already owned. 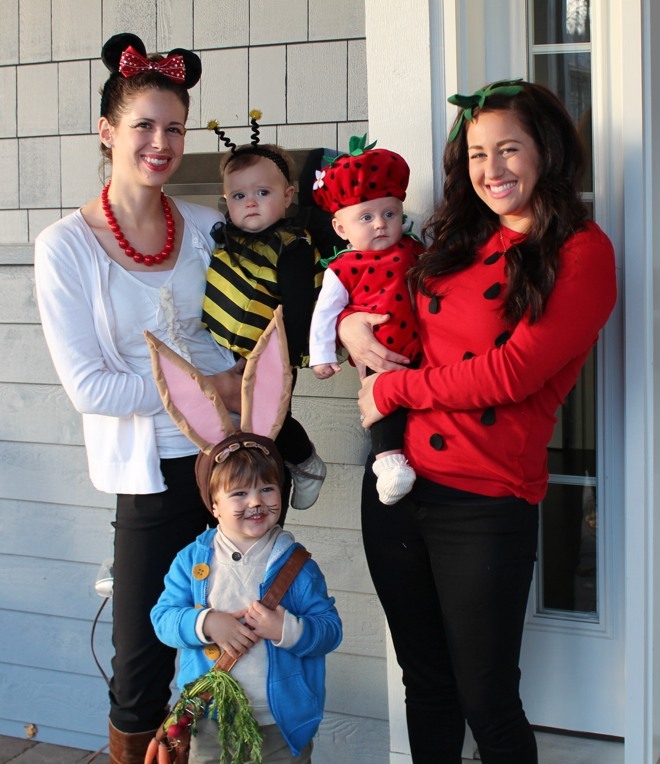 A lobster (a la Corban’s first Halloween) and a bumble bee. The bee won in the end. Starting last year, fall will forever be a special time of year for me. 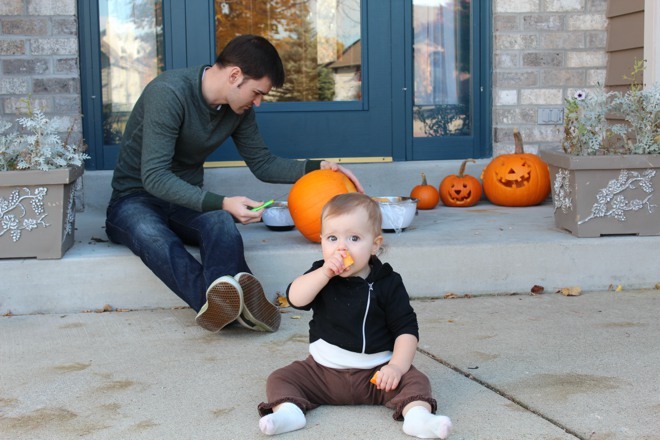 This fall I was reminded of all the wonderful memories we made last year with newborn Mara and sweet toddler Corban, while I was off work and the weather was gorgeous. This fall seemed to fly by, but I couldn’t help but reminisce about that blissful season last year, and it makes me want to savor this time of year even more. 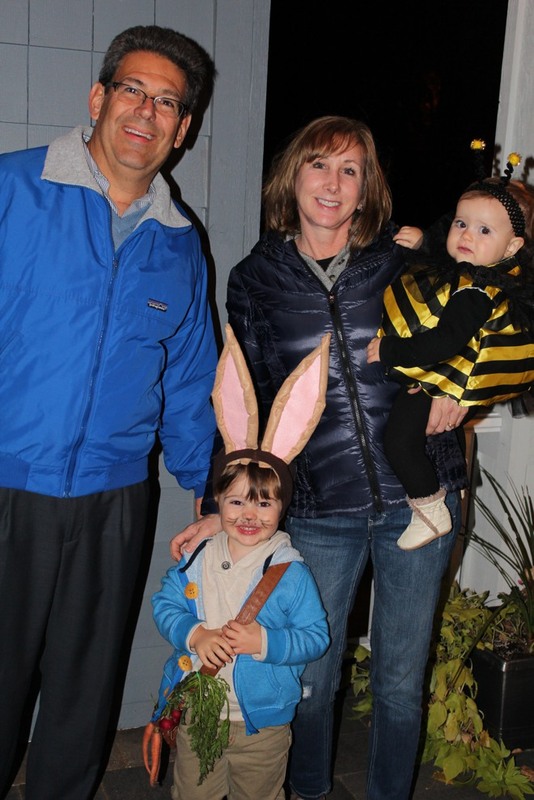 Halloween marks the turning point, for me, between warm, carefree evenings outside and the bustle of the holiday season. 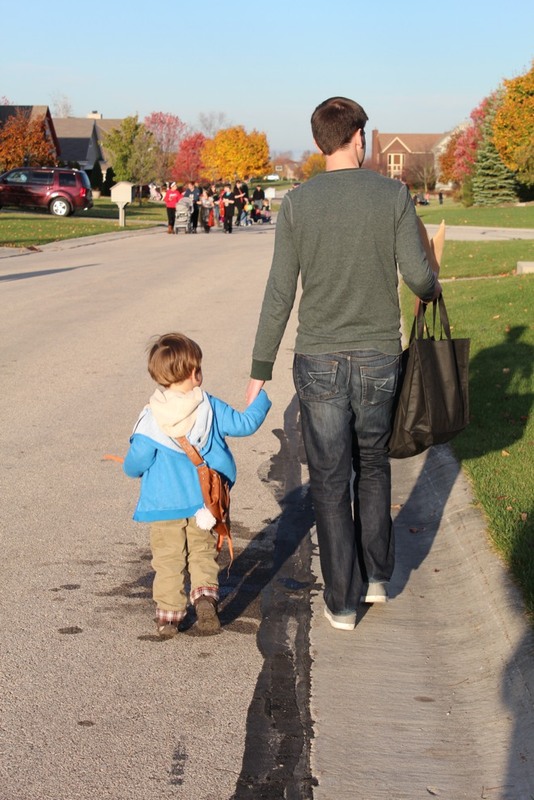 It’s the most social night of the year for our neighborhood–a kind of culmination of Wisconsin’s warm months. It’s a night where we relax outside with neighbors–some of whom we may rarely talk to the rest of the year, and we most certainly won’t see much of once the snow falls and the temps drop. 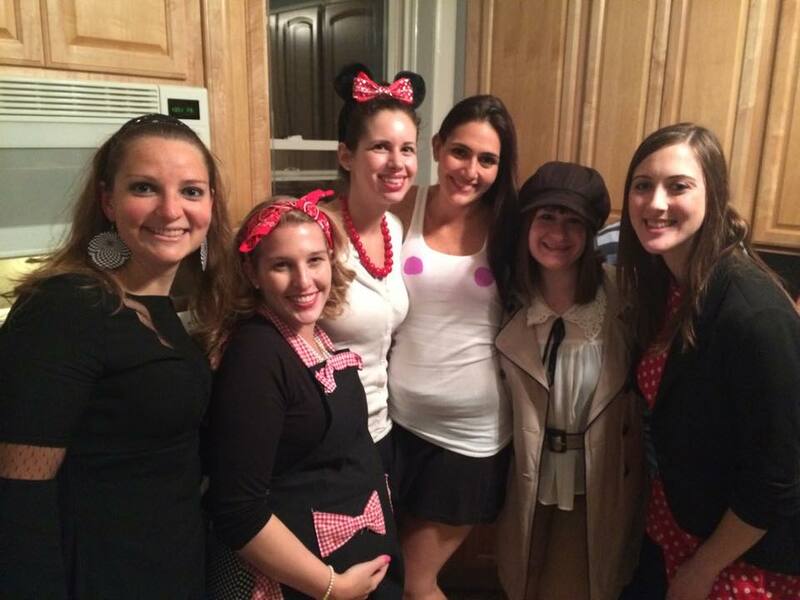 And this year we really got good bang for our Halloween buck. 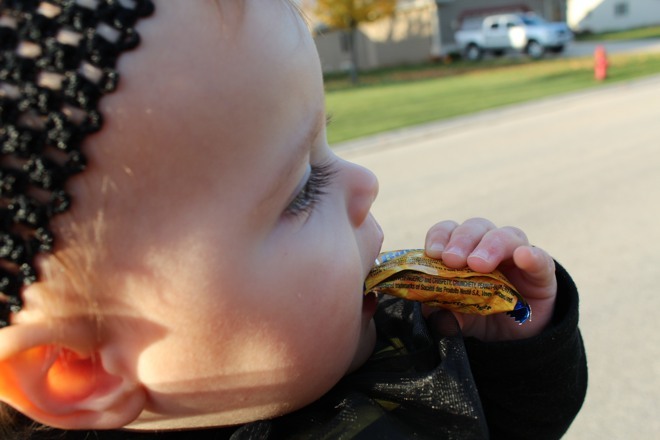 Our trick-or-treat hours were the Sunday before Halloween. The weather was perfect and both kids had a blast (we also got candy from a local radio personality who apparently lives down the street from us). We also celebrated with friends the morning of real Halloween, then drove to my parents that afternoon, trick-or-treated again with family/friends and then left the kids with my parents and actually went to an adult Halloween party at a friend’s in Chicago. An absolutely perfect mix of people and events that made the long day totally worth it.